FRIEDRICH II is reduced to the essential. The double sunk dial is made of bright white lacquer and the chamfers are diamond-polished and rhodium-plated. The concentric ART-DECO NUMERALS and the oversized eccentric second give FRIEDRICH II a fresh style. 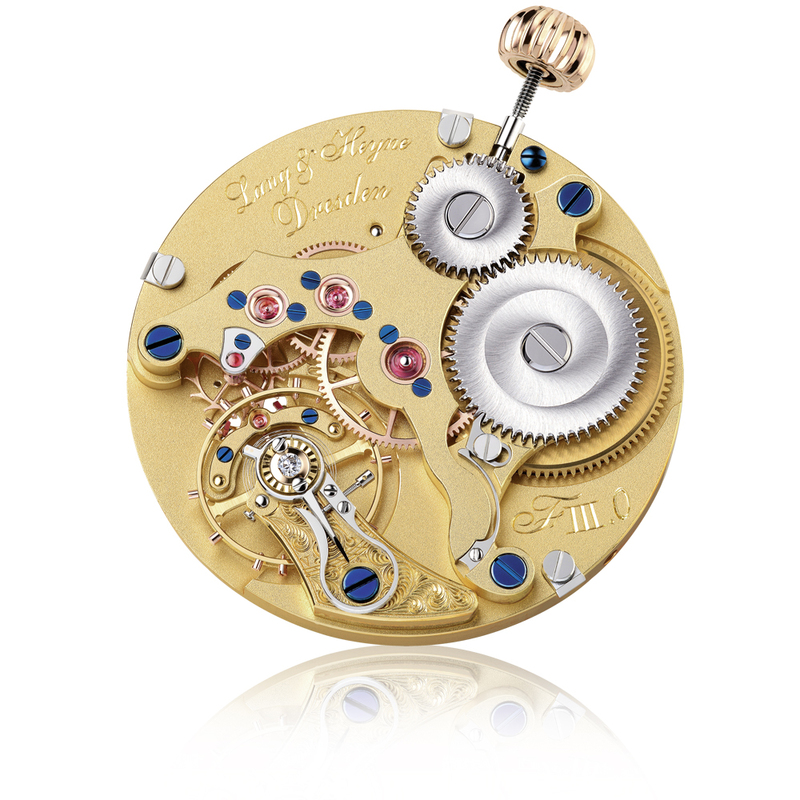 The movement is inserted into the case from the front side, which enables the use of a bigger dial in relation to the diameter proportion of the case. With our FRIEDRICH II, you can freely choose your hand types, strap color, buckle type and caliber engraving as you wish. Each watch gets its own number that is engraved on the movement. You will receive an incomparable and unique piece of art.